Orange you going to watch “Orange is the New Black”? This past week, I had the pleasure and privelige of being able to attend a screening of “Orange is the New Black” Season 2, Episode 1. For those of you who don’t have Netflix, “OITNB” tells the story of Piper Chapman, played by Taylor Schilling, who has recently been incarcerated at an all-female state penitentiary. 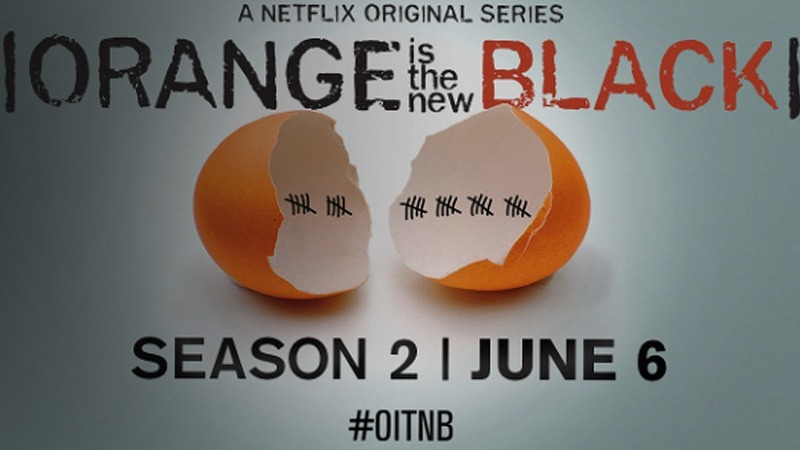 “OINTB” is based up the true life story of Piper Kerman who wrote the book Orange is the New Black. The book and show are incredibly different and I would say that the show is arguably the better of the two, but that is neither here nor there. The show displays Piper has she struggles with her new confinement and away from her boyfriend, Larry, played by Jason Biggs, and amongst several females, one of which is her ex-girlfriend Alex Vause, played by Laura Prepon, who is doing time for the same bid. Amongst these cast of characters there are several worth mentioning such as Taystee, played by Danielle Brookes, Red, played by Kate , and Officer Healy, played by Michael Harney. I cannot express how little of this show I have touched upon but I highly recommend you watch it, because, well, it is a fantastic show. But, I am here to discuss the season 2 premiere and will do so without spoilers! Let me start off by saying this episode is quite dark and mainly focuses on Piper. Schilling has several moments throughout this episode where her abilities come shining forth, most notably a monologue in which the camera is about 10 inches away from her face. This episode also depicts the confusing bureaucracy that is the penal system, nobody knows what they are doing or why they are doing it, rather some superior told them to do so, and they shall do it. Also, a bit of back story is filled in regarding Piper’s life and what has been occurring within the time period between the two seasons. This episode was probably one of the better episodes I’ve seen, especially for Piper, because she appears to have come to terms with some aspects of herself she may have not known existed. I also have to say that the ending of the episode was perfect, in that it left me pressing the imaginary remote to continue watching the next episode. So, when June 6th rolls around you should be ready to have this season consume your life.